The IAAF World Championships were a huge success, being hosted in London and getting a record number of spectators to the event every night. Great Britain and NI had a slow start to the medal tally but reached UK Sport’s target on the final days with some fantastic results from the relays. 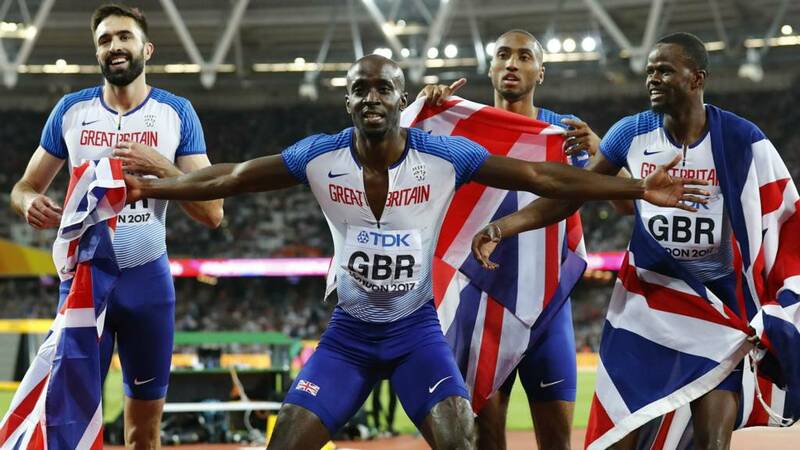 Great Britain and Northern Ireland’s relay runners rounded off the 2017 IAAF World Championships in superb style, completing a clean sweep of medals as the women’s 4x400m team clinched silver and the men’s 4x400m quartet won bronze on the last day of competition in London. Silver for the women’s quartet meant an improvement on the bronze they won in Beijing two years ago as well as at Rio 2016, while it was a second consecutive World bronze for GB &NI’s men. The women’s 4x400m team included GSF supported athletes Perri Shakes-Drayton (heats) and Laviai Nielsen (heats and final) who did fantastically well to hold on to the silver with a fast finished Polish athlete right behind them. The men’s 4x400m team included athletics’ late starter and GSF supported athete Dwayne Cowan who ran very strong legs in both the heats and the final. Sunday’s double success followed just 24 hours after the men’s 4x100m relay team won gold and the women’s 4x100m quartet won silver. 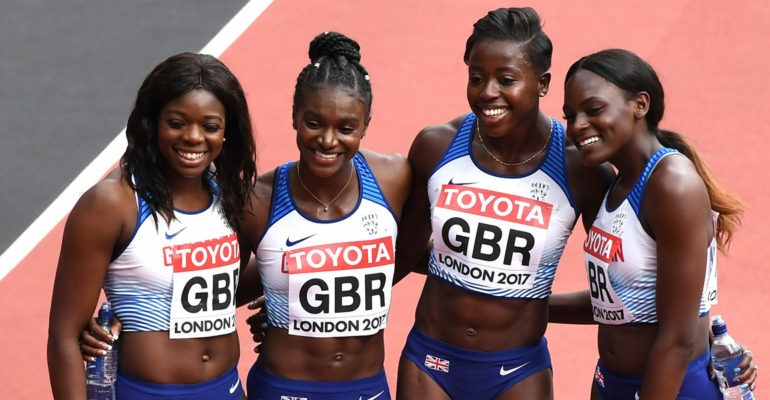 GSF supported athletes made up 50% of the women’s team with Dina Asher-Smith and Daryll Neita running strong legs and bringing home the silver for Great Britain and NI. It’s also important to recognise the athletes that didn’t medal, but also took part and performed to their best at these World Champs. Reece Prescod was the only British athlete to reach the finals of the men’s 100m and finished in 7th place; an amazing achievement for the 21 year old, and he really is a star of the future! Shelayna Oskan-Clarke and Adelle Tracey both made the semi finals of the women’s 800m in tough competition in the event this year. Nick Miller came 6th in the men’s hammer which is the best result that Great Britain and NI have ever had in a World Championships in this event. The GLL Sport Foundation are proud to support these talented athletes and look forward to many future World Championships!